How many of you have ever sat down to play a new board game with your kids or friends and instead of someone taking the time to read the rules, you just guess at what you’re supposed to do? With the board and pawns laid out in front of you, all players can see the twists and turns and set backs on the board as you aim to reach the end goal, the finish line. But everyone has their own opinion of what’s the right way and wrong way to get there. What’s allowed and isn’t allowed. What they heard their fiend say about how to play the game; shortcuts and maybe a bit of cheating to try and get there quicker. It isn’t long until that feeling of being frustrated and lost sets in and someone finally gives in and sits and reads the rules out loud to the other players. Once the rules are read, everyone now knows what is expected of them and what they have to do to make it to the end of the game and win. There’s no more confusion. Arguments are settled by pulling out the rule book and saying “It clearly addresses that here. This is what is acceptable, this is what’s not.” This is a lot like our Christian faith. Everyone knows the end goal is an eternal life in heaven with Jesus. But just like when we play the board games, sometimes we get lazy and rely on what we think to be right. What others have said is right, sounds good and may make some logical sense. 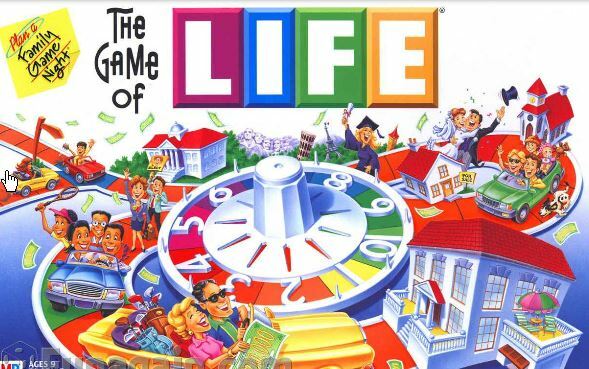 But just like a board game, arguments ensue when doctrine and religion come into play. The good news? You don’t have to stumble through the game of life lost and frustrated. There is a rule book, it’s called the bible, and you have direct access to the one who wrote it. Read the rules, speak to the creator and that’s how you win this game, every time.